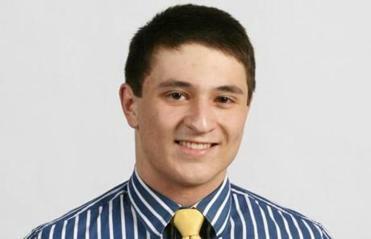 A repeat All-Scholastic selection, Burlington’s Joe Hanafin ended his career with a state gymnastics title. He was fourth on the horizontal bar. The sophomore was the all-around champion at the MIAA state meet as well as at North Sectionals. She helped lead her team to a 9-1 regular season record and a team win at the MVC/DCL championship meet. Almeida’s highest all-around score this season was a 37.45. The junior all-around competitor placed seventh at the South Sectionals and 10th at the state meet. Barattini was named a Cranberry League All-Star for the second consecutive season. She is also a member of the dance competition team and the Latin National Honors Society. The freshman was a standout all-around competitor for the Golden Warriors, finishing second at the North Sectional, tied for seventh at the state meet and eighth at the Coaches Invitational. Carver helped lead Andover to a MVC championship and a North Sectional title. The freshman was named a Northeastern Conference All-Star after helping Beverley to an undefeated season. She had a second-place finish at states and a third-place finish in the North Sectionals. Gomes has competed on the Massachusetts regional team for two consecutive years. The senior finishes her career as a two-time Hockomock League MVP. She holds four school records and was named Massachusetts Senior Gymnast of the Year. A team captain, Ivanoski is also a member of the senior national team and the USA Gymnastics club. She will attend New Hampshire. The junior was the all-around state champion at the Coaches Invitational with a score of 37.825. She placed first in the all-around in all dual meets and this season and achieved her personal best score of 38.15. Kaplan is captain of the cross-country team. Keller was named Bay State Conference Senior of the Year. Also a member of the Massachusetts national team, she finished second in the state individual meet in all-around competition. Keller is also on the track and field team and a member of National Honor Society. Kilmurray joins teammate Kim Stewart as a Cranberry League All-Star after she took first place in the all-around at the South Sectional meet with a score of 38.275. She also won the all-around at the Cranberry Gymnastics Championship with a 36.45. The junior was named team MVP for the second consecutive year and is a NEC/CAL All-Star for the third straight year. She finished fifth at the North Sectional in the all-around and averaged a 36.25 in the all-around this season. She was third on vault in the North Sectionals with a 9.5. The sophomore was the all-around champion in the Merrimack Valley Conference, while finishing second on vault, bars, and beam. Livingston has been recovering from a broken back but finished fourth in the all-around in the North Sectional and state meets. She is also a high honors student. The freshman finished second in the all-around (36.35) at the Cranberry League Championship and took seventh at the state individual meet (36.275). She helped her team set a school record for team finish with a 142.35. Lyons is also a member of the Arnolds Gymnastics Academy in Mansfield. The junior took first place in the all-around competition at the Bay State Conference Meet. Perry helped lead Wellesley to a team victory at the same meet. She finished fifth in all-around at the state individual meet, and was first in vault, posting a 9.75. The junior won the all-around at South Sectionals with a 38.275 and took third at the Coaches Individual championships with a 37.475. She placed first in both bars (9.5) and floor (9.3) at the Cranberry Gymnastics Championship. Stewart was also named to the Cranberry League All-Star team. Ginsburg led Beverly to an undefeated season and a second-place finish in the state championships in her third year coaching her alma mater. A 2004 Beverly High graduate, Ginsburg helped the Panthers qualify for New Englands for the first time since she was a gymnast at Beverly. Bay State — Braintree: Frankie Donahue, Brooke Ellis. Framingham: Jaimie Petrakis, Maura Sticco-Ivins. Natick: Simon Casey, Savannah Keller. Needham: Maggie Nieto. Newton North: Allie Hurwitz, Amara Lutwack, Ariana Paone, Maggie Wang. Walpole: Olivia O’Hara. Wellesley: Molly Harrington, Alli Kelliher, Christa Perry. Cape Ann/Northeastern — Beverly: Heather Gomes. Danvers: Roni Levine. Cranberry — Barnstable: Ashley Barattini, Jackie Hansen, Tyler Harrington, Taylor Lahteine, Tali Twoney, Alexa Wilson. Bridgewater-Raynham: Mary Korotsky. Hanover: Brittany Ainslie, Kailyn Powers. Marshfield: Devyn Connell. Nauset: Kasey Kilmurray, Hayley Roderick, Kim Stewart. Notre Dame (Hingham): Hayley Doyle, Colleen Kahill, Olivia Lehane, Haley Lyons, Anne Nonemaker, Canyon Volpe. Plymouth South: Jenna Ketterer, Kelsey Price. Dual County — Acton-Boxborough: Cami Agle. Newton South: Camila Hernandez, Kaela Meyer. Westford: Erin Auger. Greater Boston — Cambridge: Isabel Andres. Malden: Noelle Bellmer, Alana Casey, Justine Rose. Medford: Abe Bencid, Stephanie Falasca. Hockomock — Mansfield: Alexa Anastos, Michelle Ivanoski, Maddie Krysko. Sharon: Jess Chabot, Alicia Dagle, Samantha Kaplan, Sami Kaplan, Melissa Steinberg. Merrimack Valley — Andover: Courtney Carver, Jessie Livingston. Billerica: Nikki Moriconi, Jessica Passarelli, GIna Pomponi, Mikayla Riley. Central Catholic: Giana Contrada. Chelmsford: Eleanor Almeida, Chelsea Diggs, Nikki Santhanakrishnan. Lowell: Katheryn Manning, Alyssa McCabe, Johanna Vergados. Methuen: Cam Cyr, Zach Smith. Middlesex (Large) — Arlington: Chase Currier, Ruthie Ferrante. Reading: Matthew Rio. Winchester: Carrie Abraham, Megan Miranda. Woburn: Kelly Doherty, Brianna McNeil. The junior placed second in the all-around and first in pommel horse and parallel bars at states. A member of the Junior Olympic team at Interstate Gymnastics, Manning was named Most Outstanding Gymnast after placing first on rings and vault at the Coaches Invitational. The senior was a member of three state title teams. This season he placed fourth in the all-around and the Wamps took third in the team competition at the MIAA state meet. 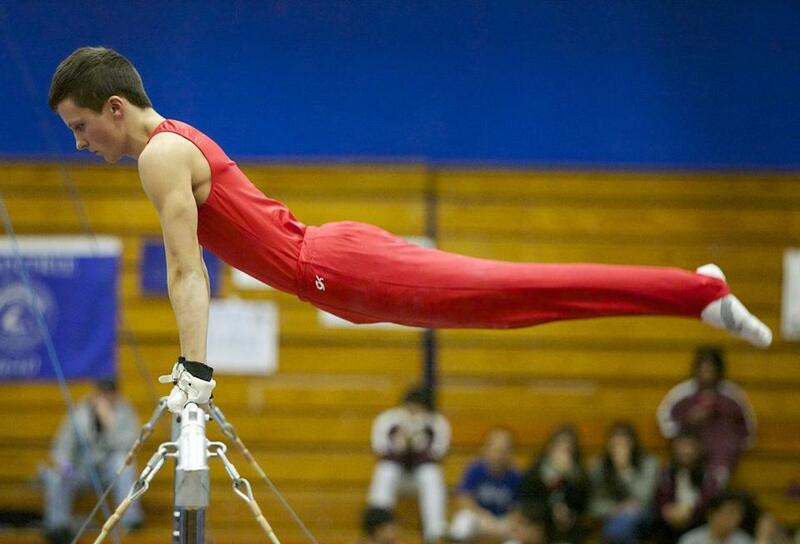 Ellis is a member of the Ellis School of Gymnastics and he will attend UMass-Dartmouth. An all-around competitor, Flaherty took fifth in the state championship while helping Andover to a second-place team finish. The senior took second place in all events at the Coaches Invitational. Flaherty is a former member of the Junior Olympic team at Interstate Gymnastics. The senior earned a sixth-place finish in all-around at the MIAA state championships. He was also second at the Coaches Invitational in the all-around. Fyfe is a member of the National Honor Society and hopes to attend Northeastern University to study speech language pathology. The freshman was the state champion in the all-around, while also placing first in high bar and rings. Girouard is a high honor student and enjoys playing guitar, skiing, and swimming. Led by Girouard, Burlington completed an undefeated season and won the state title. The Burlington High School senior helped lead his team to a state championship. He placed fourth at states on high bar, fifth on parallel bars and sixth on vault. A repeat All-Scholastic, Hanafin also plays lacrosse and hopes to attend Salem State. The senior graduates a member of three state championship teams and holds the school record in vault. He finished third all-around in the state meet for the third consecutive year. Lebbossiere finished with season highs scores of 9.7 on both vault and the floor exercise. Baczewski led Burlington to a 9-0 undefeated season and the MIAA state championship in his sixth season as head coach. He has an impressive career mark of 44-4. Baczewski is a graduate of Revere High School and UMass-Boston. He also enjoys fishing and woodworking. Middlesex (Small) — Burlington: Ryan Girouard, Joseph Hanafin.